Start your holiday planning early! 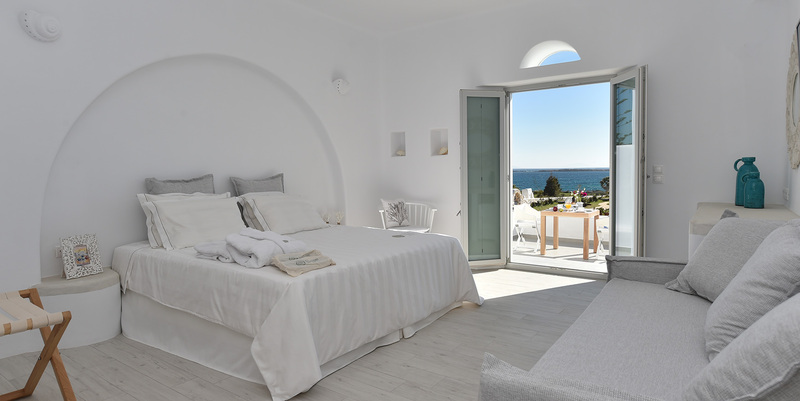 Choose your suite for your escape to Paros with 10% Discount! Book in advance until 31/03/2019 and save up to 10% discount on your summer stay. The ultimate relaxation and magical, romantic moments at Dunes. When you first arrive, you will be greeted with Moet & Chandon Champagne, a selection of fruit and desert. 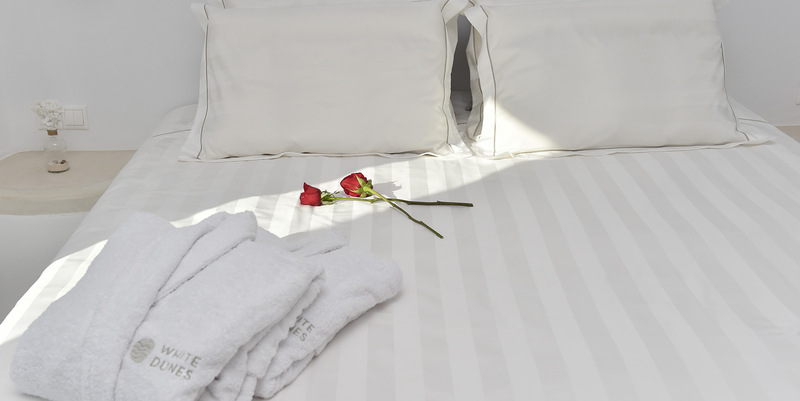 And when you go to your room you will find roses waiting for you in another elegant romantic touch. The package also includes a couple’s traditional Olive oil massage – 45 minutes of total relaxation – and we provide you with a picnic lunch every day so you can plan romantic picnics by the sea. When the sun goes down, it is time for romance and a candlelit Dinner for two with a 4 course set menu. – If your package includes a dinner or lunch, we will contact you via email to finalize which day during your stay you would like to have your meal. Sample the flavors of the Cyclades and join in with Greek culture. Our Naturally Greek package offers private transfers on arrival and departure, and we will welcome you with a bottle of Greek wine, a selection of fruit and a traditional Greek dessert when you arrive. And to help you discover Greece culture, there will be a gift book waiting for you in your Suite. 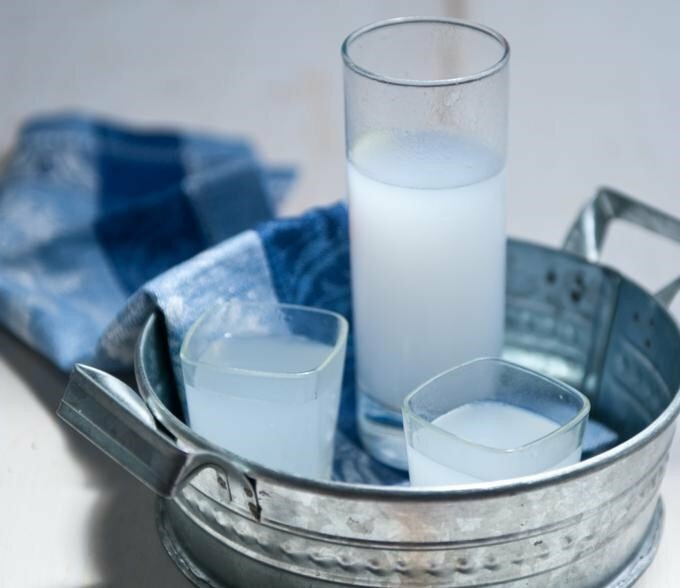 Enjoy a unique Lunch or Dinner with traditional dishes and ouzo, and don’t forget to take your complementary leaflet with the recipes. At the end of your stay, we will give you a souvenir with Greek products, so you can take the Aegean Sea and sun back home with you. Free your body and open your mind beside the Aegean Sea. When you arrive, your Mind Body Spirit package welcomes you with a selection of fruit and homemade lemonade. Take a bicycle, and the picnic basket we prepare for you every day at White Dunes Luxury Boutique Suites, and explore the island’s coast. And when you need a rest, you can relax and enjoy your picnic by the sea. 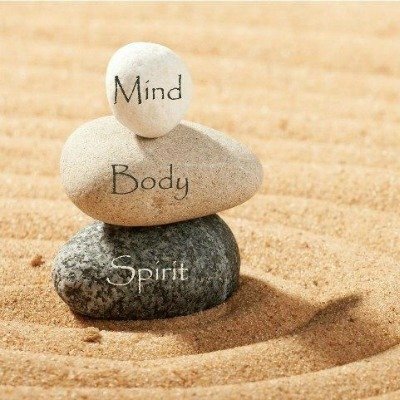 When you get back, it’s time to reward your body with a 45 minute couple’s Sports/Athletic massage therapy, and then you can arrange your private Yoga retreat lesson. Private transfers on arrival and departure are also included.